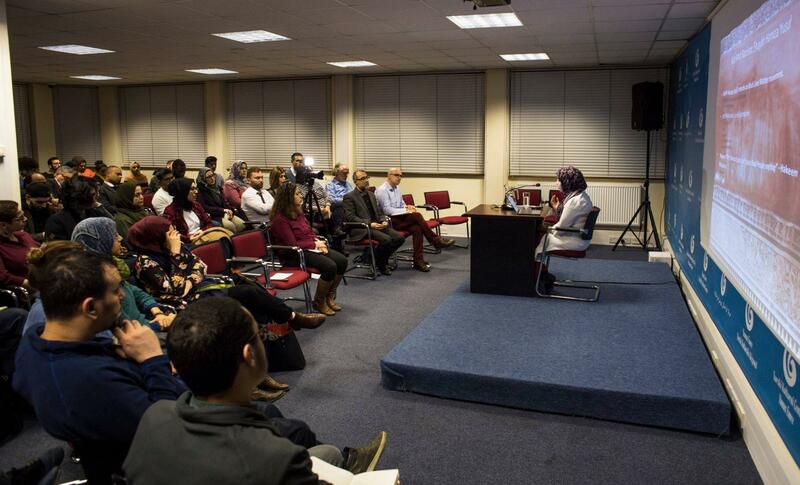 The talk was delivered with a powerpoint presentation by Walaa Quisay a phD student from University of Oxford. 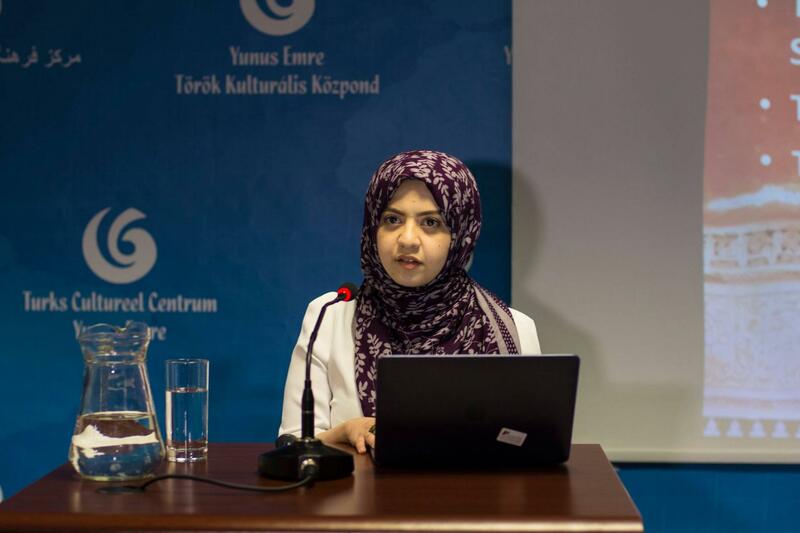 She works on the sociology and anthropology of religion and her case studies have been on Shaykh Hamza Yusuf, Shaykh Abdal Hakim Murad, and Dr. Umar Faruq Abd-Allah. On Thursday 22nd March 2018 Walaa Quisay to a very crowded audience introduced Shaykh Hamza Yusuf and Shaykh Abdal Hakim Murad who has increasingly become a notable religious authority to their community of followers and students. She beriefly explained who these two important icons were; Shaykh Hamza Yusuf who is an American Islamic scholar and is co-founder of Zaytuna College based in California. He is a proponent of classical learning in Islam and has promoted Islamic sciences and classical teaching methodologies throughout the world. Timothy John Winter also known as Shaykh Abdal Hakim Murad, is a British Sunni Muslim scholar, researcher, writer and academic. He is the Dean of the Cambridge Muslim College, Director of Studies (Theology and Religious Studies) at Wolfson College and the Shaykh Zayed Lecturer in Islamic Studies at Cambridge University.